New Still Life Print. 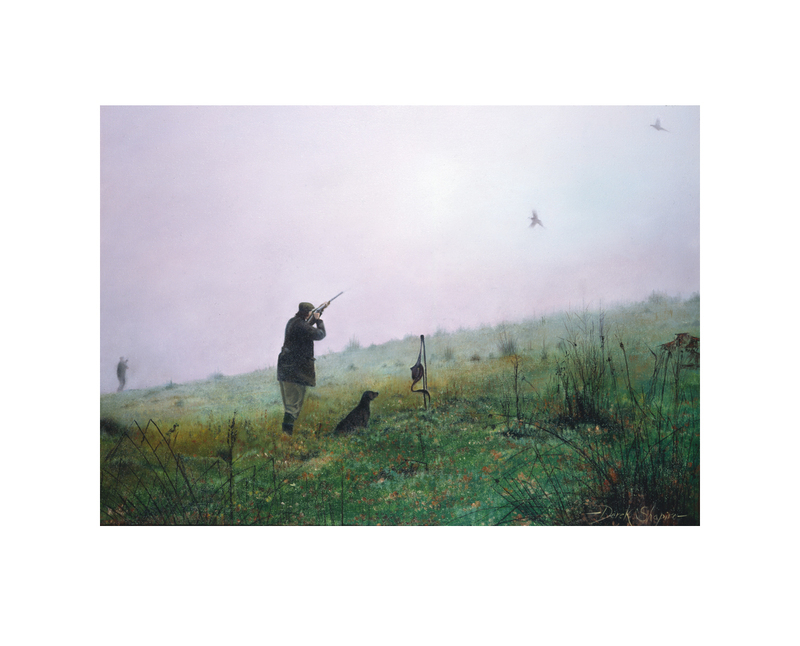 Strictly Limited to just 30 Artist Signed prints. 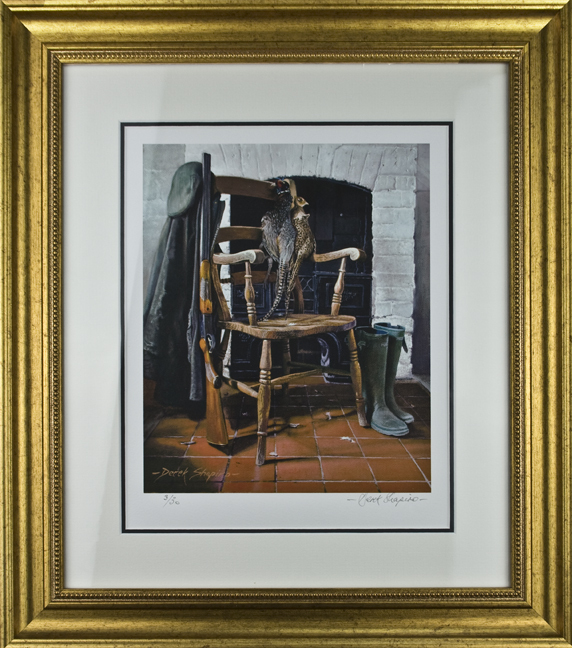 ‘Still Life of a Brace of Pheasants a Country Chair and Shotgun’. 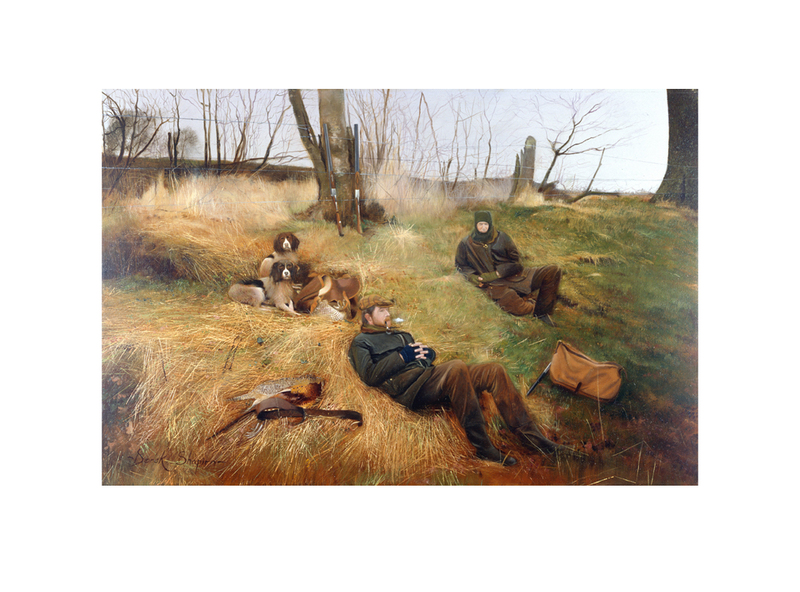 Image Size: 9.50″ x 7.75″. 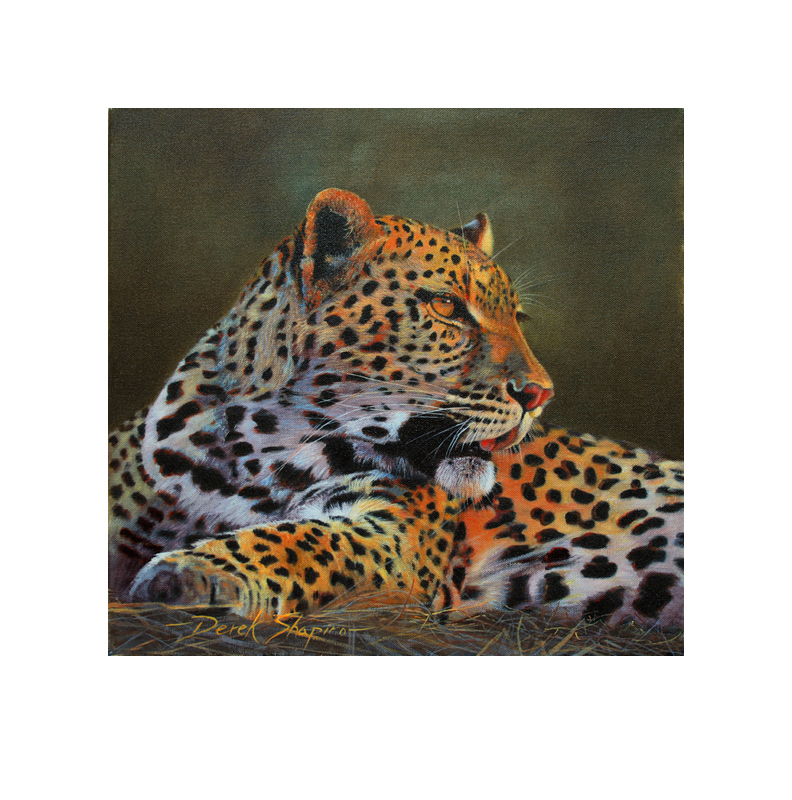 Framed Size: 18″ x 16″. If the print is not to your satisfaction, it may be returned in good condition for a full refund. 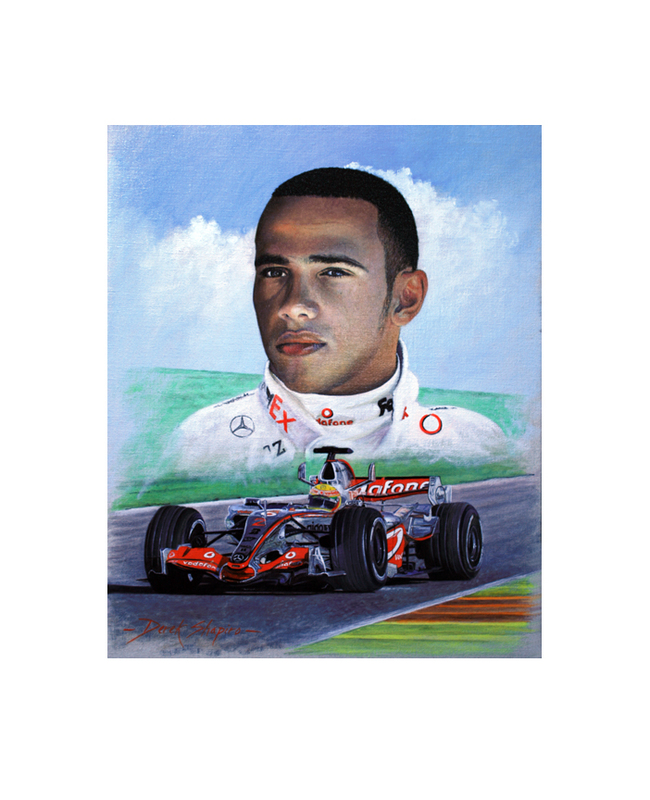 The original painting oil on canvas, (commissioned by distant relatives of Hamilton) from which the print was taken, depicts Hamilton with his Formula 1 racing car after winning the 2008 world championship in Brazil and becoming the youngest world champion in Formula 1 history. Click here for more information. Image Size: 17″ x 25″. Price: £45.00. 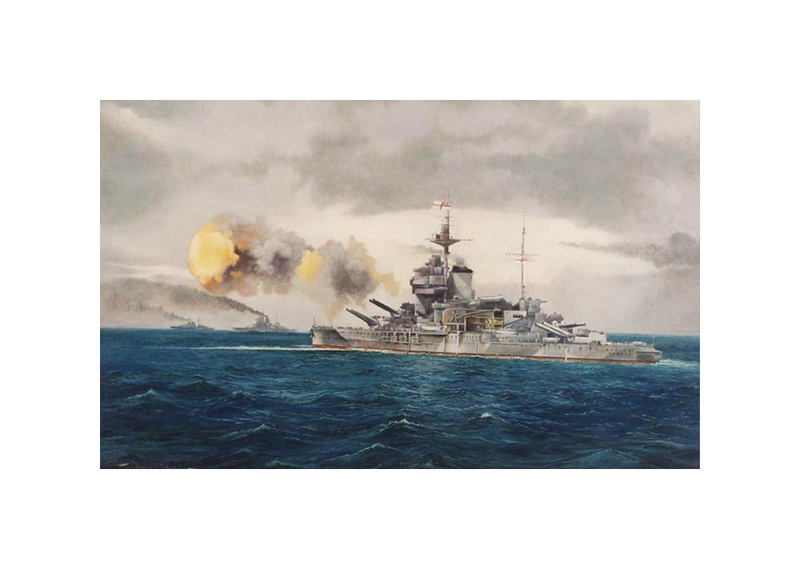 The original painting, HMS Warspite, The Old Lady Bombarding the Beaches, Normandy”, oil on canvas 30 x 48 inches was commissioned by RN Provost Marshal Headquarters, HMS Drake, Plymouth, where it now hangs in the Mess .